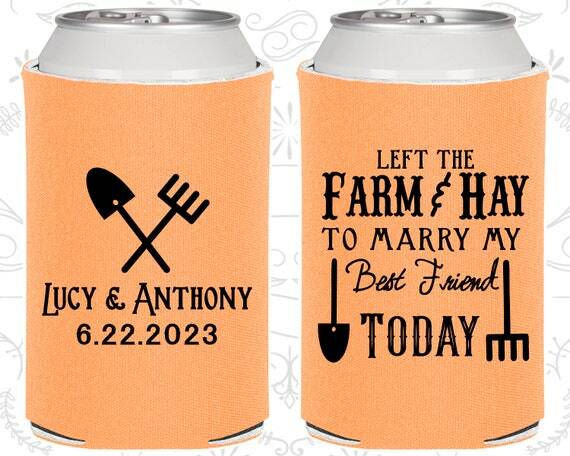 Left the Farm and Hay, To Marry my Best Friend Today, Wedding Decor, Farm Wedding, Barn Wedding, Wedding Party Can Coolers by My Wedding Store! • Pattern is Random and Variable. • Due to contrasting colors, your logo may not be legible in all areas.